Every Thursday I post a miscellaneous blog/article/review or an interview of an extraordinary individual. Not only is he humble but witty too–I was totally floored when he said this to me (Laughing). Once I composed myself, I asked him why he was here in Boston. He told me that he was here to cover the Boston Marathon Tragedy that took place a few weeks back–but he also told me that he was visiting his two friends, which one of them was kind enough to take our photo together. I was really excited that day because I was just making waves with my website–so seeing him was an awesome opportunity to show off my website which I did. After it was all said and done, I told him how much he inspires me and then we parted ways. 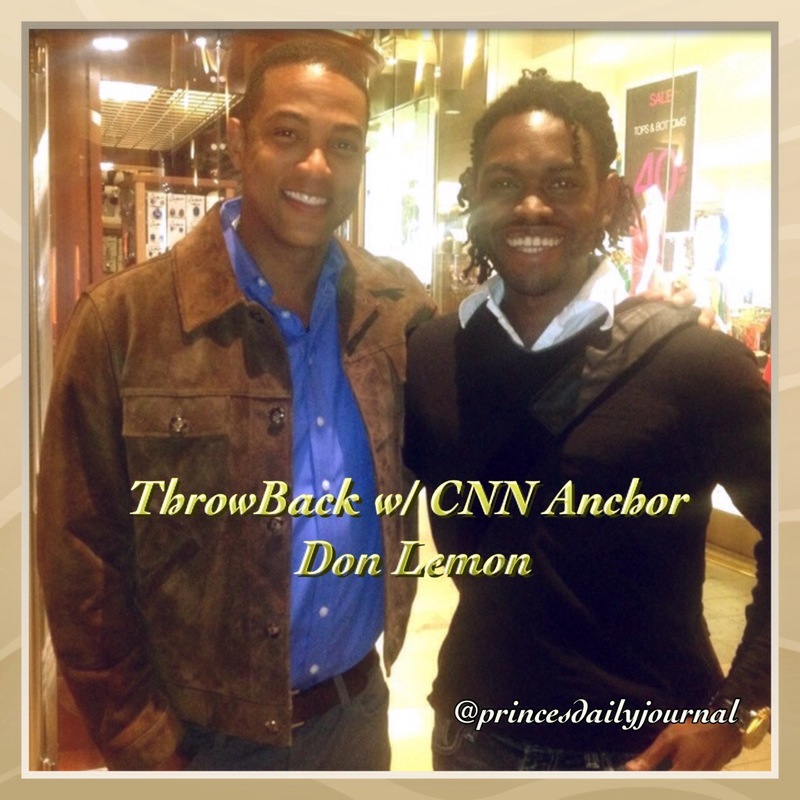 “Thank you Don Lemon, for being so cool and humble towards me–and I hope your trip to Boston was a good one. I appreciate the work that you do on your show every day and continue to inspire the youth and young African-American men like me who want to do what you are doing today. I hope to share the stage with you one day.